The Australian wine industry is a vibrant scene, characterised by many small winemakers and boutique wineries. South Australia, New South Wales and Victoria produce the greatest quantity of wine. With so many varieties, blends and labels – we have sought out small Australian winemakers you’ve probably never heard of but should definitely get to know. These quality South Australian wines are crafted by third generation family winemaker Nick Haselgrove. 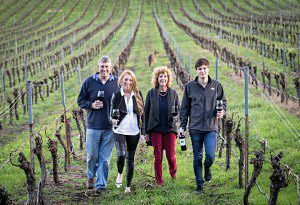 Nick draws from the vast well of generational experience that has seen the Haselgrove family achieve great accomplishments in the wine industry. 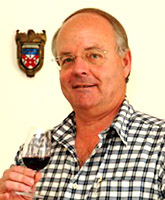 His grandfather Ron started making wine in 1920 and his dad James continued the tradition and still does so today. A former McLaren Vale Bushing King and Winestate’s Winemaker of the Year Nick is charged with revitalising the family name in one of Australia’s truly premium wine regions . The Haselgrove tradition is in good hands. 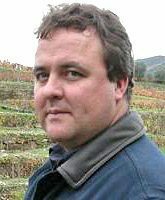 Nick is a specialist Shiraz winemaker but also look out for his Grenache and the emerging Sangiovese. Nick’s had time working in the corporate environment but ultimately his passion leads him back to the Haselgrove label. Member of Metro Networking for over 18 years.